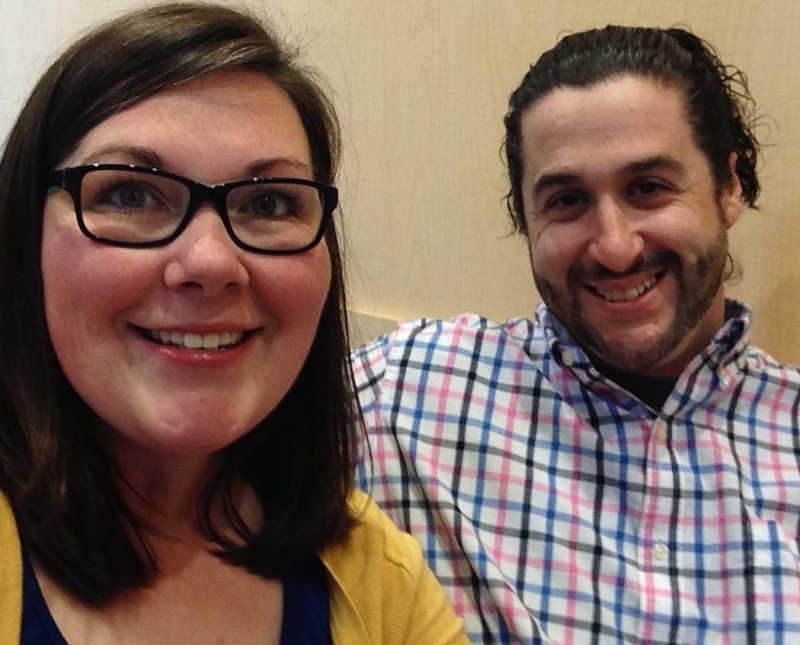 “I was previously married and went through several rounds of fertility treatments including intrauterine insemination and in vitro fertilization (IVF). These either weren’t successful in granting pregnancy or ultimately ended in miscarriage. The heartache and loss, especially the feeling of being a failure at being a woman, ultimately caused an end to that marriage. I also have a pretty complex medical history that includes Endometriosis, polycystic ovarian syndrome (PCOS), Hashimotos, methylenetetrahydrofolate reductase (MTHFR), severe small fiber neuropathy, Postural Orthostatic Tachycardia Syndrome and Gastroparesis just to name the bigger things. Allen, the kind guy from the baseball game, and I started spending lots of time with each other. By January 2014 we were engaged and in October 2014 we were married. 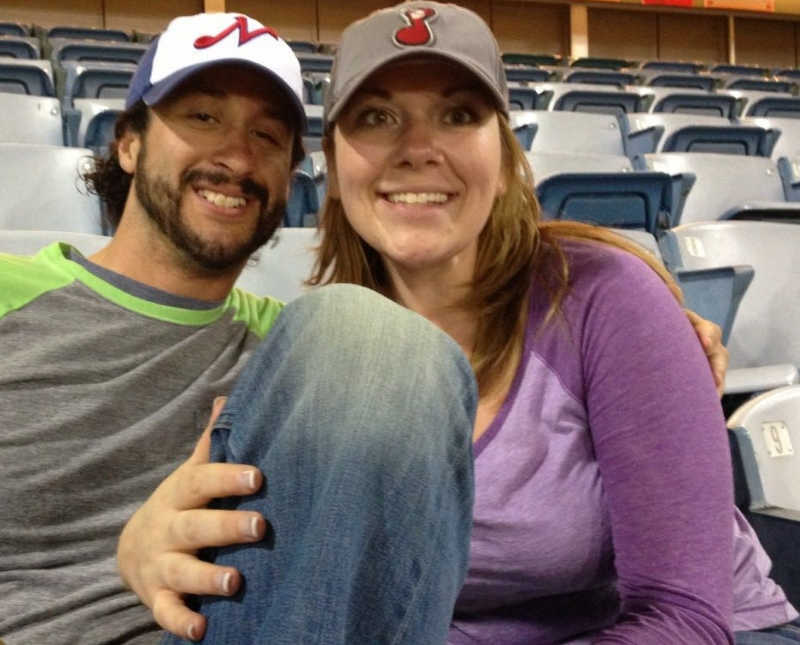 Both being in our 30’s and wanting to have a family sooner rather than later we decided to have testing done to see our chances of getting pregnant and what path we would have to take in order to have a family. It was determined IVF would be our best chance at getting and staying pregnant. We were in the process of getting healthy and saving up for this when I lost my right ovary. Being down to one ovary, our plan changed to either using an egg donor or adopting five day old embryos, which would mean Allen and I wouldn’t be genetically related to the bab(ies). We opted to adopt two embryos as that was the cheaper version, so we could potentially be a family sooner. We got pregnant but it also ended in an early miscarriage. Two months after our last miscarriage I ended up having to have a complete hysterectomy due to the severity of my endometriosis and not being able to get the pain under control. I was done with not having control of my own body. I always thought in order to be a mother, to truly be a mother, that you had to carry and deliver a baby; which is why I fought so hard when talks of a hysterectomy came up at age 17. Having my hysterectomy was the best choice I ever made. Within weeks I was pain free, something I had not been at any point in my adult life. Now we had to decide if we wanted to do a gestational carrier with donor eggs, a surrogate, or adoption. We had a few people kindly offer surrogacy, some because they ultimately wanted to help us and some because they wanted the money they knew would come with it. After lots of prayer and discussion with some friends that are touched by adoption, we decided to go with adoption. During this time of figuring out the path for us, it was placed upon my heart multiple times that adopting a child with Down syndrome was what I was called to do. Allen and I talked about it and he wasn’t so sure this was for him. 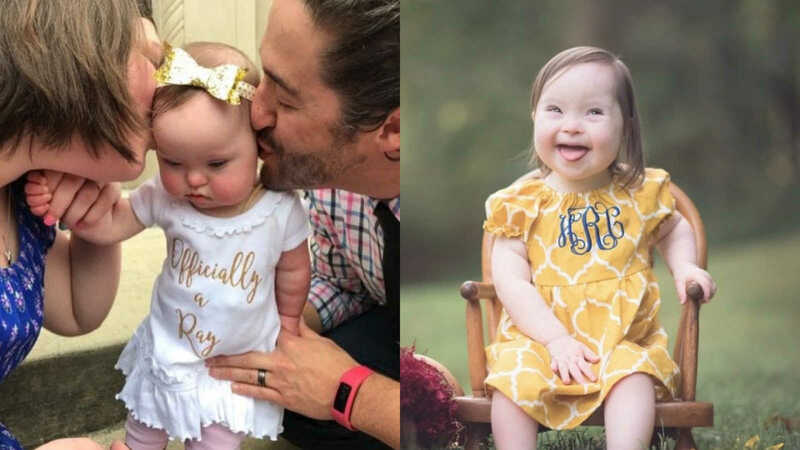 We started watching Born This Way on A&E and attended a newborn to two-year-old class with the Down Syndrome Association of Middle Tennessee to know what to expect. Then we felt comfortable with this being an option, that we would be open to either a child with Down syndrome or a typical child. We started getting stuff together for our home study in May 2016 and our home study was approved in August 2016. 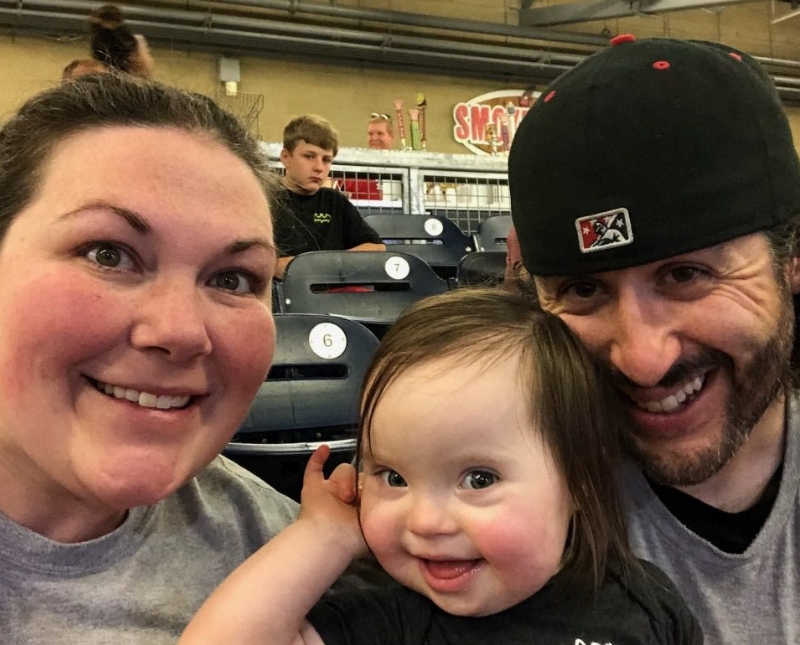 The process for adopting a child with Down syndrome includes getting on the registry with the National Down Syndrome Adoption Network. 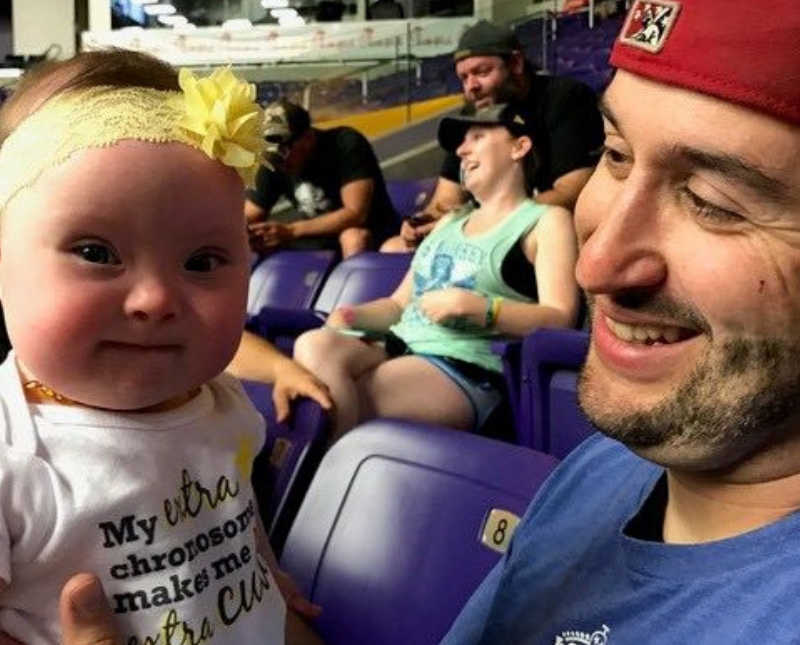 It is a list of families who wish to adopt a child with Down syndrome and contains all of their specifics, then when an agency or hospital reaches out about a child they can pull from that criteria to see which families would want to be presented. I will never forget October 3rd, 2016. I had just left the doctor and had a new diagnosis to add to my long list. It was a tough day so I had Allen meet me for Mexican food, taco Tuesday, on the eve of our second wedding anniversary. We are eating and I’m telling him about everything I learned when I get a call from Stephanie Thompson, Executive Director of the National Down Syndrome Adoption Network. She tells us of a three week old little girl who has a few medical problems. Here is the catch, the birth mom wasn’t 100% certain if she wanted to do an adoption plan or if she wanted to parent. We had to let Stephanie know the next day and if so we would have to update our preferences because this would be an open adoption. At the time, this sounded so scary but then not so scary in that moment. After conversation and prayer we decided to do it though deep in my heart I already knew, something told me she was the one. 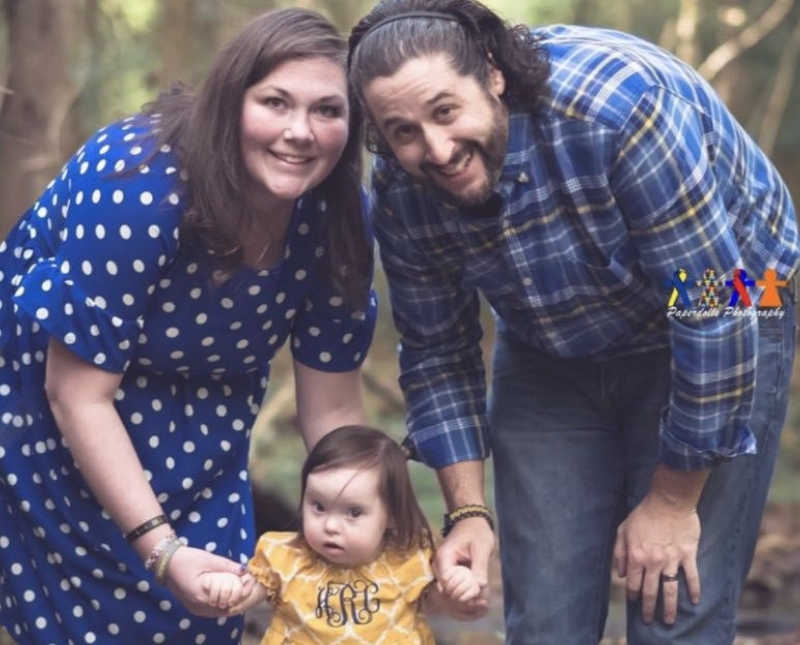 This little girl had had abdominal surgery at a day old, was approaching needing a feeding tube put in her stomach, and would need open heart surgery by 6-months-old. October 11thwe were told we were picked. There are no kinder words than to hear you have been selected to parent their child, the kindest, sweetest, most selfless gift in the world you could ever receive. October 19th we met the birth parents and baby girl for the first time. I felt an instant connection to our birth mom right away. 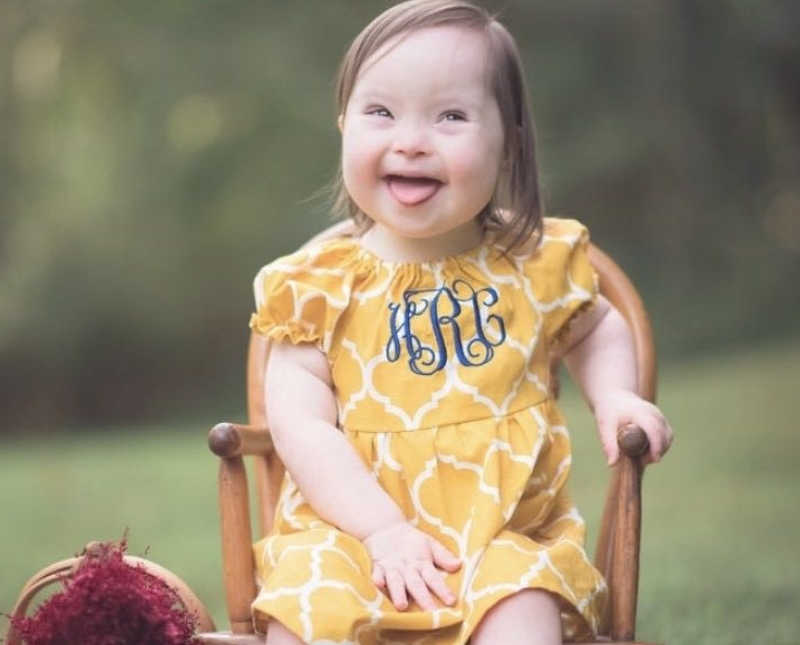 In talking with her she said that late in the pregnancy they found the heart condition and told her there was a chance baby girl could have Down syndrome. 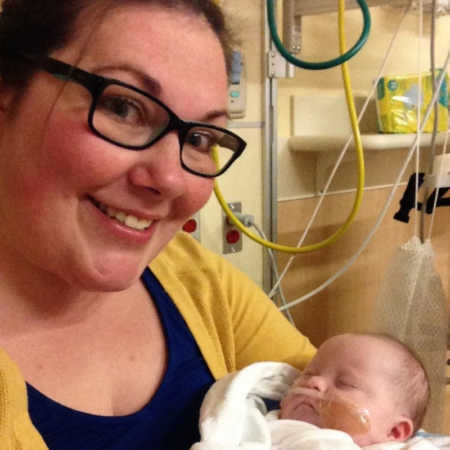 At 31 and 34 weeks doctors tried to pressure her into aborting because there was a chance. 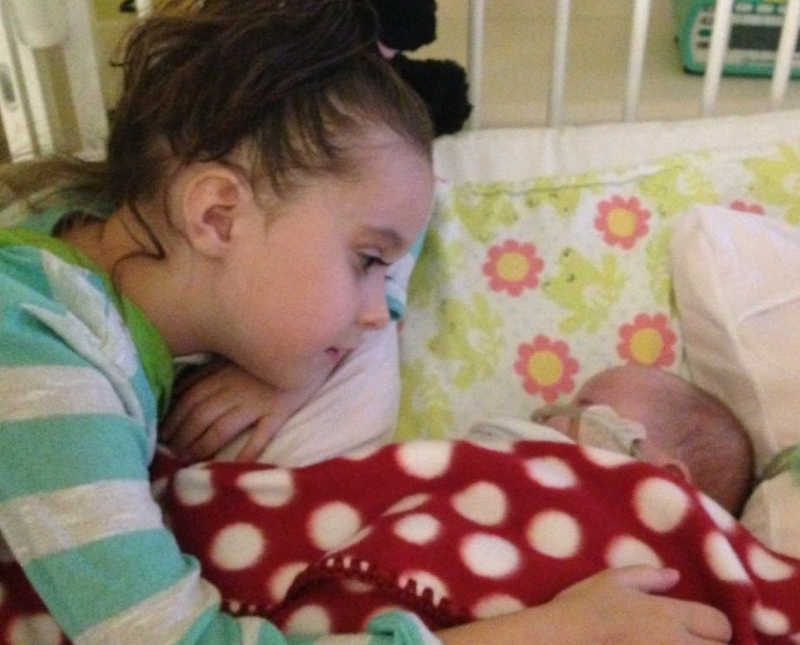 We are so thankful that despite our birth mom being young, she fought for her daughter, our daughter, to live. October 24th she legally became our daughter. With permission from the birth parents we decided to change her name to Hannah, meaning ‘a gift from God’ as she truly was our gift. As I mentioned earlier, I thought you had to give birth to be a mom. Genetics don’t make you a mother, love makes you a mother. Hannah is lucky she has her tummy mommy who loves her but she also has Allen and I, and our families. The open adoption that I thought would be so scary actually isn’t, it’s quite beautiful because I can send pictures and updates to share how well Hannah is doing and to let them know how much we love her and how happy we hope she is. 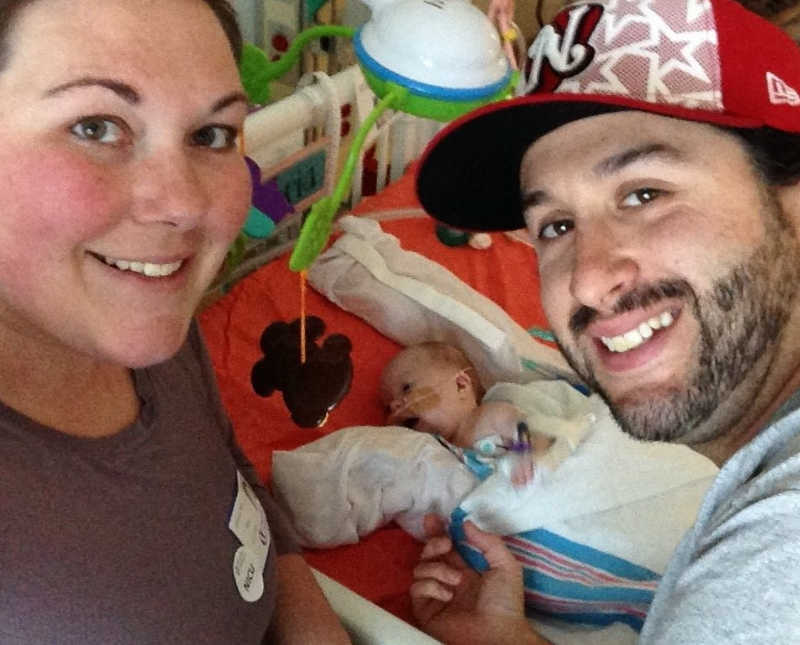 We don’t want birth mom to ever doubt she picked the right family to parent her child. It’s also nice knowing Hannah has an older half-sister and a younger half-brother who she could keep up with as they grow up. This story was submitted to Love What Matters by Jessica Ray. Submit your story here. For our best stories, subscribe to our free email newsletter. 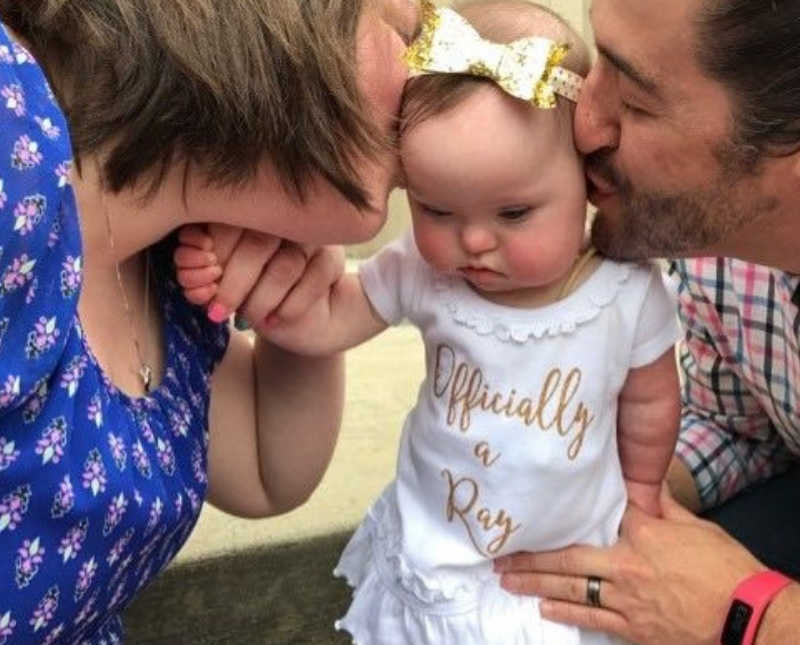 SHARE this story on Facebook or Twitter to support acceptance and inclusion for Down syndrome.